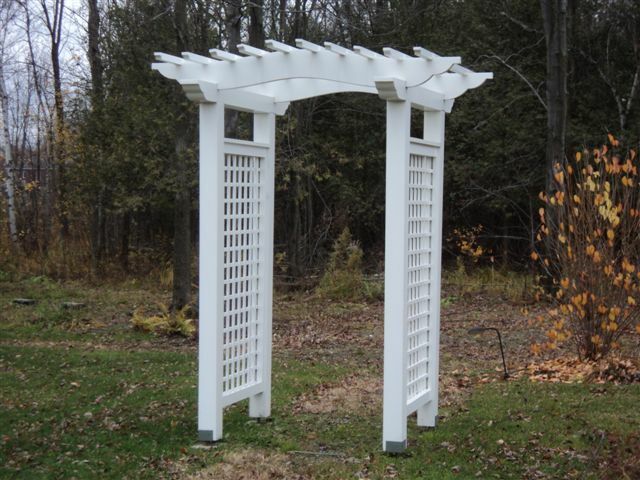 Add some intimacy to your property and make a statement in your yard with one of our beautiful arbors . All of our arbors are individually hand crafted in our workshop, assuring you only the best quality you deserve. Made from clear (no knots) Northern white pine, arbors from Missisquoi Cupolas and Structures provide you with an authentic piece of years gone by. We only use the best grade of pine. The problem with plastic or vinyl is that they look like plastic and vinyl. 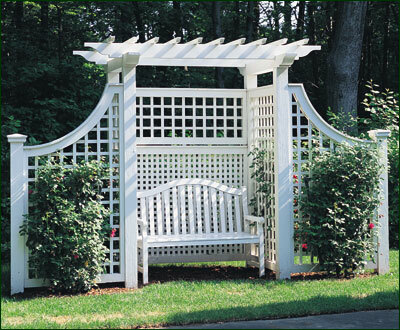 Our arbor posts are 5″x 5″ and side panels in lattice are 1/2″ thick, giving you a sturdy product that will last for many years. 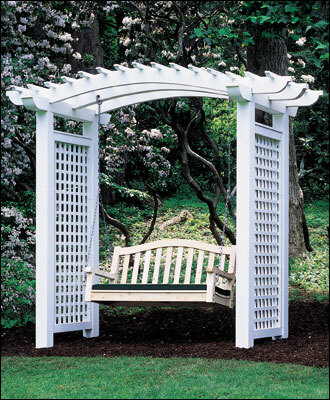 If you have a specific arbor design in mind, we can make it!